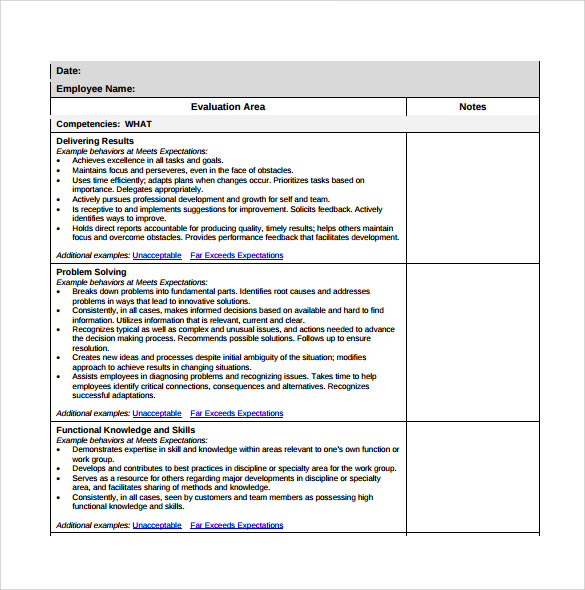 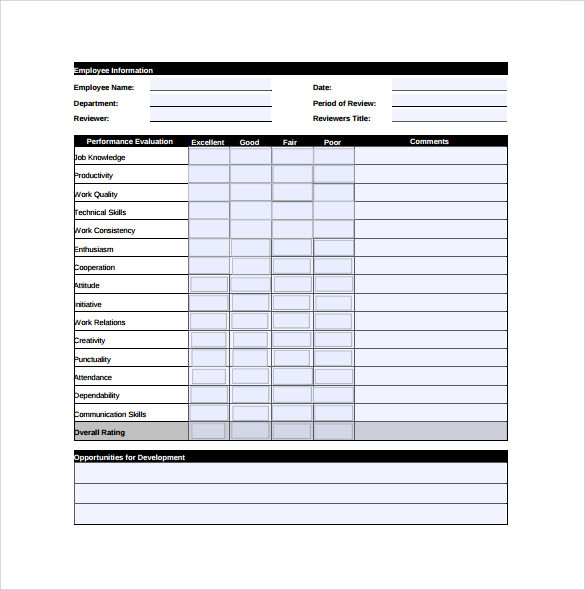 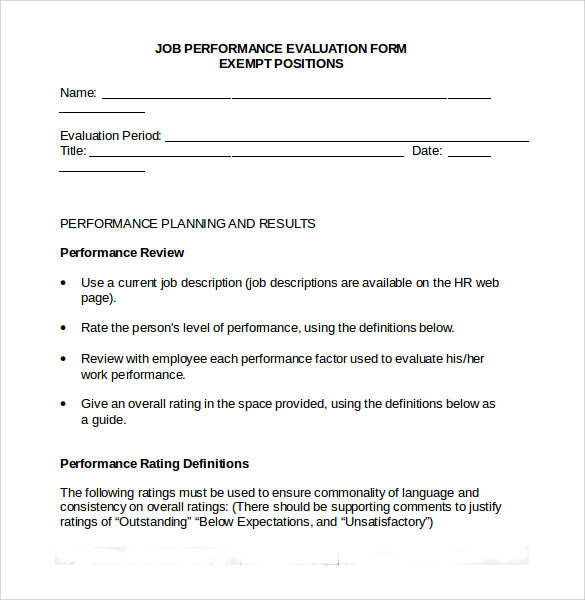 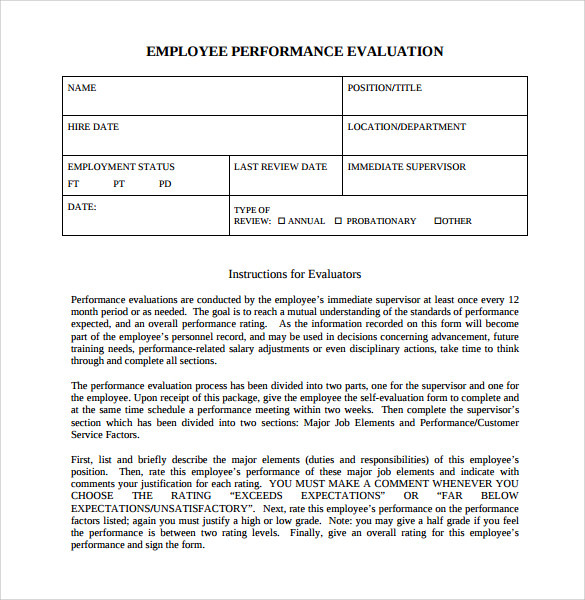 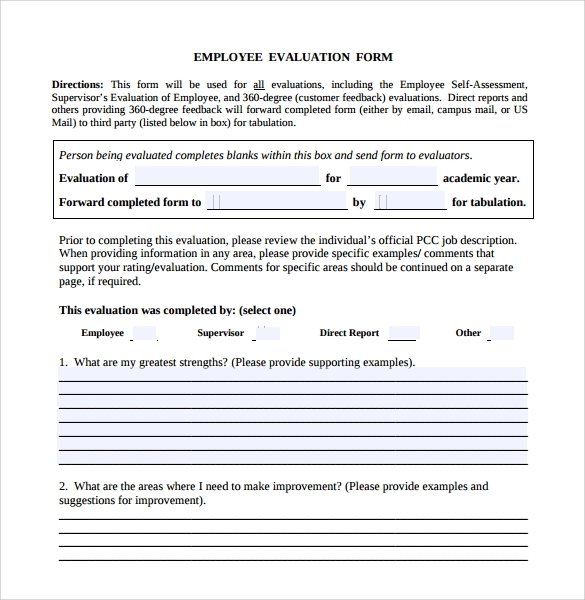 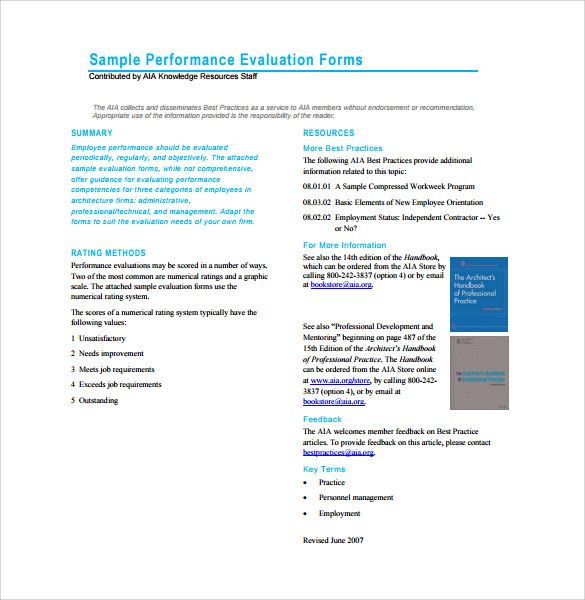 The sample employee evaluation form includes the details of the quality of the employee work, the exercise of the good judgments, attendance, the employee participation or the involvement in the team effort, attention to the organizational procedures and the policies, communication and the interpersonal relationship with the colleagues. 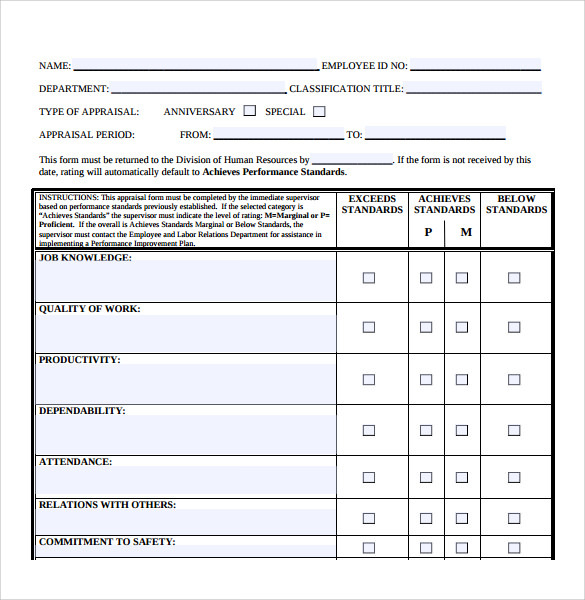 Find these details of the employee using this form.The main objective of these forms is to check the performance and qualities of the employees. 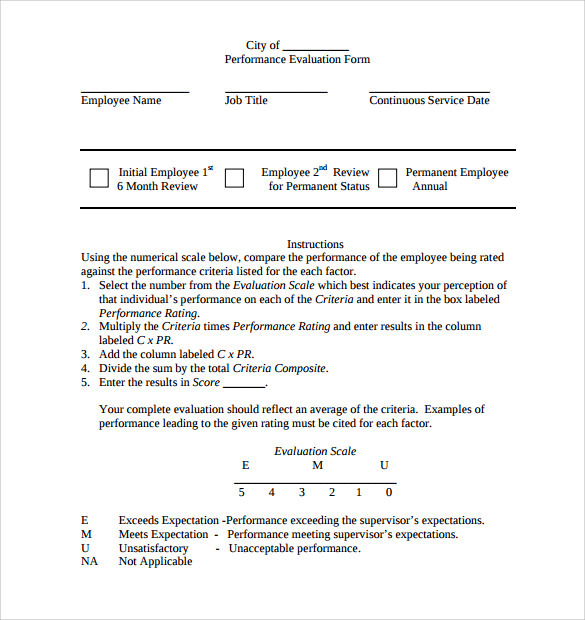 This performance can be checked for every week or every month or every year. 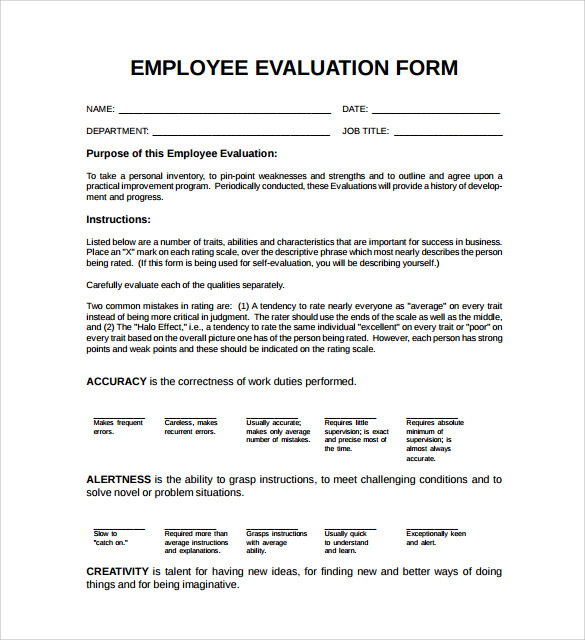 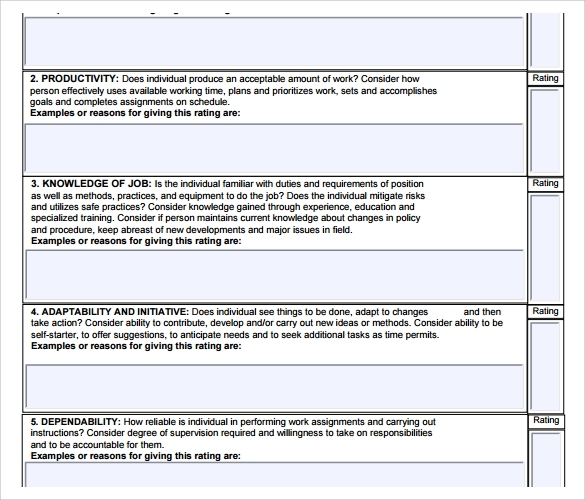 The Employee self Evaluation form also helps to improve the performance of the employees in a specified organization.